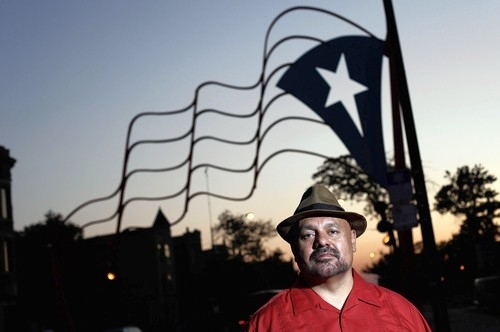 For decades, People’s Law Office has worked closely with the Puerto Rican community of Chicago around issues of police brutality and human rights, worked in solidarity with social and political movements on the island, and most notably, represented people criminalized for their struggle for the independence of Puerto Rico. This work with the Puerto Rican independence movement has included decades of advocacy. As part of this work, lawyers from People’s Law Office have appeared before the U.S. Congress, the U.N. Decolonization Committee, and various international forums throughout the world, including Barcelona, Cuba and Malta. This is in addition to the extensive writing and lecturing about Puerto Rico and the political prisoners. Today, lawyers at People’s Law Office serve as legal counsel in the international campaign to free Puerto Rican political prisoner Oscar López Rivera, one the longest held political prisoners in the U.S. These same attorneys have worked for decades with international movements struggling for the release of Puerto Rican independentistas, successfully achieving Presidential pardons in 1979 and 1999. 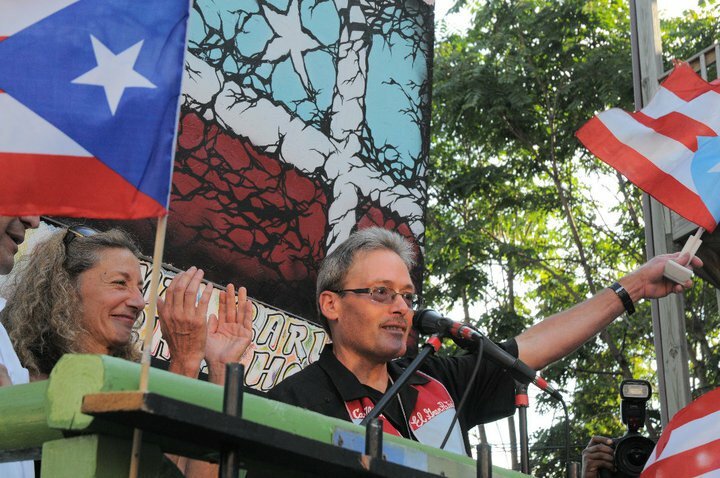 More recently, People’s Law Office represented independentista Carlos Alberto Torres, achieving his release on parole in 2010, after spending thirty years in prison. This work is a continuation of over 40 years of working with the Puerto Rican community. In 1977 People’s Law Office represented the families of Julio Osorio and Rafael Cruz, innocent young men killed by Chicago police in Humboldt Park after the Puerto Rican Parade, winning their families a significant settlement. Over the years, the office has litigated on behalf of hundreds of members of Chicago’s Puerto Rican community who have been beaten, falsely arrested, and strip searched by Chicago police or in Illinois prisons, obtaining numerous verdicts and settlements on their behalf. 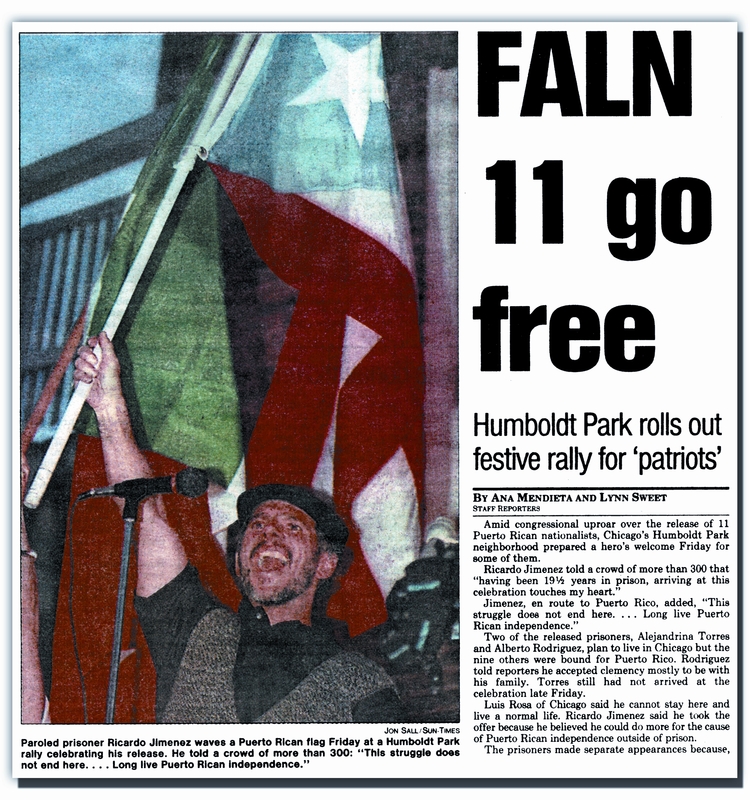 In the 1980s, People’s Law Office represented accused members of the FALN (Fuerzas Armadas de Liberación Nacional [Armed Forces of Puerto Rican Liberation]) who were arrested in Chicago and charged with seditious conspiracy. Many of those arrested refused to recognize the jurisdiction of the U.S. courts, claiming Prisoner of War status, and the office prepared petitions on their behalf based on international law and challenged their trials in federal court and before international forums. When federal grand juries subpoenaed members of the independence movement in Chicago and New York, People’s Law Office fought to expose the politically punitive use of the grand jury and defended those accused of civil and criminal contempt. People’s Law Office was also part of the legal team that represented accused members of a Puerto Rican clandestine independence group, Los Macheteros, accused of a multi-million dollar robbery of Wells Fargo in Hartford, Connecticut. The trial raised numerous unique legal issues including the legality of preventive detention exceeding three years and the use of open-ended electronic surveillance, which People’s Law Office successfully challenged. People’s Law Office has also represented Puerto Rican community organizations under attack for their efforts at community self-determination, including when the Chicago Park District refused to accept the donation of a statue of Dr. Pedro Albizu Campos, perhaps the most renowned Puerto Rican of the 20th century. Also, when an FBI agent provocateur tried to undermine the work of the Puerto Rican Cultural Center in the community’s public high school, People’s Law Office defended the Cultural Center members who were targeted. The work of People’s Law Office in support of Puerto Rican independence and self-determination has spanned decades and continues today by directly supporting the local community, working in Puerto Rico alongside attorneys and the Bar Association there in defense of human rights, and working to free Oscar López Rivera.